← my 220 volt Food Processor! 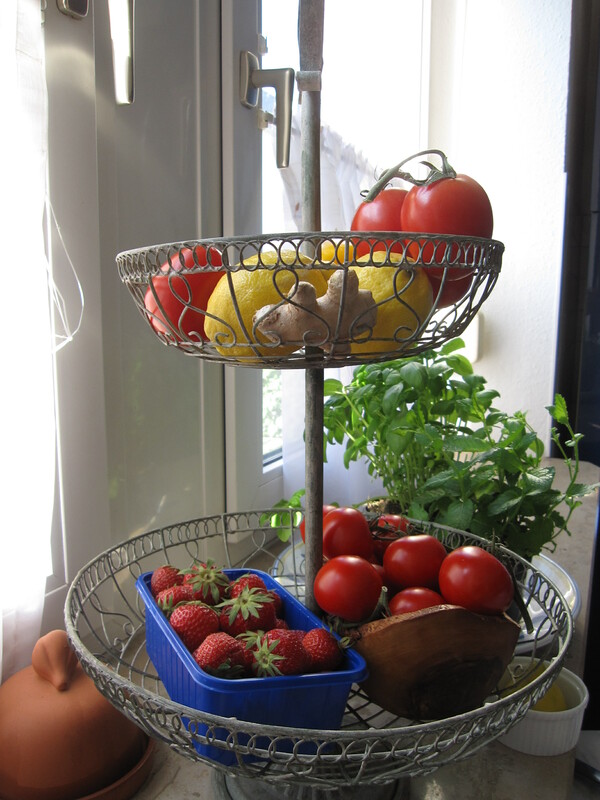 It is full-fledged summer here in Germany and the produce at my local market is just beautiful. Sadly, however, we are in the grips of a very scary e.coli outbreak which has already killed quite a few people and hospitalized many more. One of the scarier sides to this outbreak is the fact that the authorities are still (after two, going on three weeks) not 100% sure where exactly the problem is coming from, and have admitted that we may never know for sure. The first suspect was the cucumbers, but that has since been ruled out and they are now giving the side eye to bean sprouts. In the meantime we are all being advised not to eat lettuce, tomatoes, cucumbers, and now sprouts, and to generally take extra precautions with all raw produce. Hopefully the worst of it is over and we can all go back to eating salads again soon. In the meantime I am just grateful that my friends and family have remained healthy so far. This entry was posted in life in germany and tagged food safety, salad. Bookmark the permalink.